Sunset at Natural Arch in Western Colorado. To purchase a photo, select size and framing options below and click "Add to Cart." 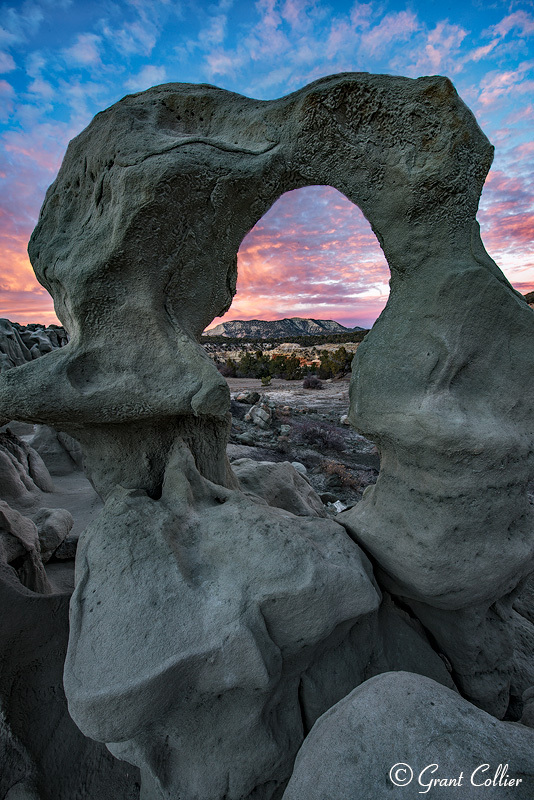 I shot this image of a small natural arch in a remote part of western Colorado. On this autumn evening, the sky came alive with color during sunset. For more detailed info on purchasing prints Click Here.